Bayview Equestrian Centre: Dedicated to the Pursuit of Equestrian Excellence. Bayview Equestrian Centre is a Show, Lesson/Camp and Boarding Facility conveniently located on 75 acres in the heart of the Niagara Peninsula. Easy to reach from Burlington, Waterdown, Milton, Hamilton, Oakville, and Mississauga. Bayview Equestrian Centre is a family owned business, operated and managed by Jennifer and Phil Smith. We have been in continuous operation for over 40 years and offer a full service equestrian experience. 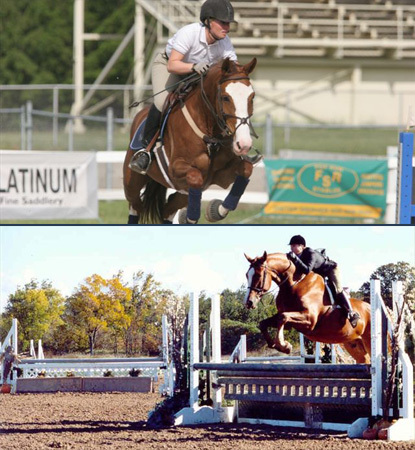 At Bayview Equestrian Centre we offer English Hunter/Jumper Riding Lessons from the beginner level to nationally ranked competitors in a safe and friendly atmosphere. All our instructors are qualified horse people who are interested in sharing their knowledge and experience. Camp Sessions are suitable for both complete beginners and more advanced students wanting extra practice and horsemanship skill training. Our camps combine horsemanship, theory, and daily riding time with an emphasis on safety and fun. Whether you have a young horse that needs starting or a mature horse that requires training to maintain its’ competitive advantage we can arrange a program to suit your needs. Bayview Equestrian Centre is located on 75 acres bordering the Bruce Trail in a picturesque park like setting. A perfect setting for serious training and pleasure riding.